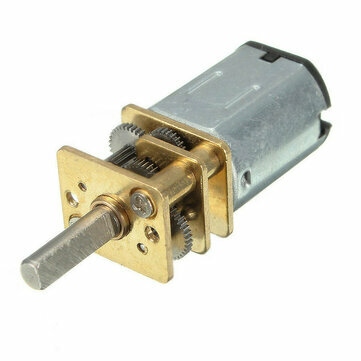 This is a DC Mini Metal Gear Motor,ideal for making robots. Light weight, high torque and low RPM. Fine craftsmanship,durable,not easy to wear. With excellent stall characteristics,can climb hills easily. You can also easily mount a wheel on the motor’s output shaft. Small volume, torsion big,all metal gear, durable, not easy to wear. Great replacement for the rusty or damaged DC geared speed reduce motor on the machine. Widely used on Boat,Car,Electric Bicycle,Fan,Home Appliance.